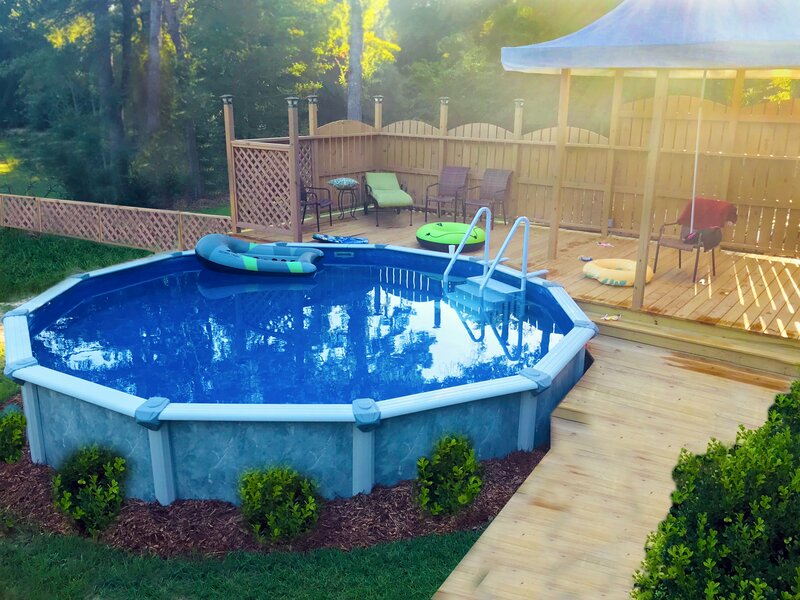 When it comes to designing your pool, there are a couple key factors that you have to decide on while choosing your pool kit. One of those key factors is how high you’d like your wall panels to be; 42” or 48”? 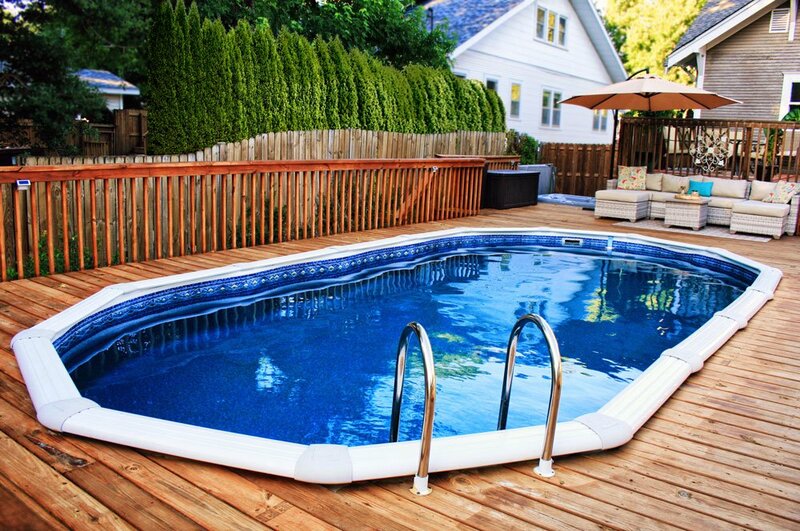 To help you decide what’s best for your pool needs we’ll cover the main differences between the two heights here! end depth which is typically preferred for younger children or inexperienced swimmers. Based on the pool bottom of your choice, there could be a steeper drop off between the shallow and deep end of your pool. 48” PANELS are more popular with older kids and adults as this height provides a deeper shallow end depth of 3’10”; perfect for pool sports, such as volleyball or water polo! The 48” panel also creates a deep end with a less significant slope transition and is safer for diving pools. In the diagram below, the 42" panel is depicted by the dotted line and the 48" panel is depicted by the solid line. The 48" panel offers a more ideal water level so that standing in the shallow end is an enjoyable hangout area for adults while 42” offers a safer swimming area for small children on inexperience swimmers. Due to the 6" of added depth, you can see that the slope leading to the hopper (deep end bottom) is more gradual than in a 42" wall pool. Therefore, the 48” panel provides a safer diving pool by providing additional space for a diver to arc and surface with less risk of running into the bottom of the pool. water level in the shallow end. Overall, there is no right or wrong answer when choosing the size of your wall panels. Here are some questions to ask that may help make the best decision based off of the intended use of your pool! Who will be using this pool? Will you want to be able to play pool water sports? Do you want a diving board? 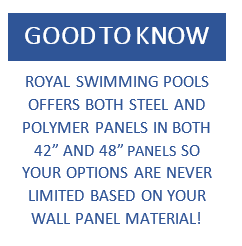 Regardless of the size of the wall panels you decide for your pool, always remember to have safety first in mind especially with children and family pets.